Burn and Rot in Hell: 100 T Shirt Giveaway! We promised to give away burn and rot in hell t shirts to the first 100 members who register to the site, and we have finally sent the last shirt out. This member sent us this burn picture with him giving us the burn finger, and we got so excited we gave him a bonus 500 burn points. 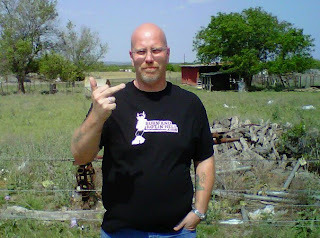 Send in a picture giving us the burn finger, holding up a sign that says " I vent, therefore I am -burnandrotinhell.com " and you will be featured on a future burn page, and earn yourself a quick 500 burn points too. Burn points can be accumulated by interacting on the burnandrotinhell.com website. Every comment, reply, up rating, down rating, burn post, share to social media, and execution of other site features, will earn you a certain amount of points. These burn points can eventually be traded in for anything in our gift shop. The gift shop is coming real soon. It will have t shirts, all sorts of burn branded merchandise, and random sponsored items. Websites will donate goods, such as amex, visa, or master card gift cards. Some may offer electronics, such as ipods, laptops, or even an ipad2. Until then, we encourage all of you to burn baby, burn. Where else can you get something off your chest, and earn free stuff for it?